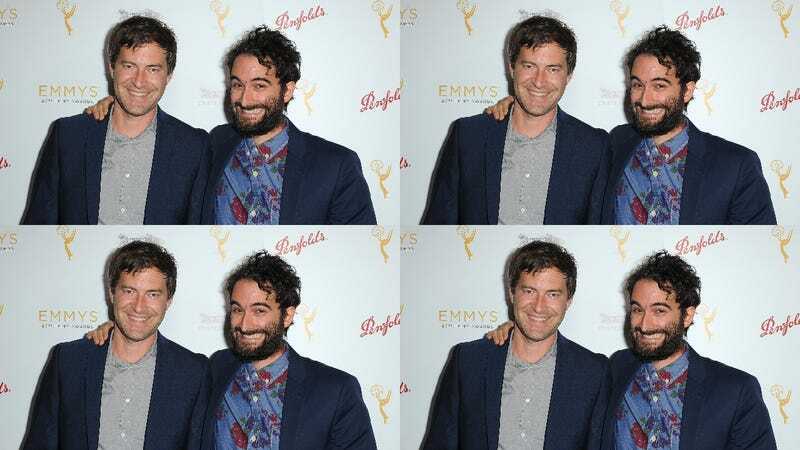 In 2015, Netflix signed Mark and Jay Duplass to a four-film deal, and now—five movies later—Netflix has re-upped its pact with the Duplass brothers. That’s according to Variety, which says the brothers have granted Netflix the worldwide rights to their next four movies, with the first being an untitled “bittersweet bromance” starring Mark Duplass and Ray Ramano as they bond over “made-up sports.” That movie has already been filmed, and it’ll be released on Netflix at some point this year. The previous Netflix/Duplass deal resulted in Blue Jay, Take Me, Creep 2, Duck Butter, and Outside In—some of which aren’t out yet.